As much as half of the energy used in your home goes towards heating and air conditioning. Making smart decisions about the type of system and proper installation can have a big impact on your utility bills. Below are some important things to know, things that Classic Plumbing, Heating & Air Conditioning covers on a new installation. It takes time and expertise to complete a professional load calculation and system design. A Hudson Valley HVAC contractor lacking needed technical skills, or someone just interested in making a "fast buck" may try to convince you this is not important. However quality design is crucial to an efficient, well performing system. Any Newburgh HVAC contractor should be using the Manual J® residential load calculation procedure. Manual J is the official standard for residential load calculation and is required by many building codes around the country. As your local Newburgh contractor, Classic Plumbing, Heating & Air Conditioning does it right by carefully measuring your home to evaluate its levels of insulation. Window sizes and quantity will be noted, levels of infiltration will be estimated and internal loads including lighting and kitchen appliances will be taken into consideration. Heating and air conditioning equipment comes in many capacities, configurations and efficiencies. It can be very confusing. As your local Newburgh HVAC contractor, we select the right equipment that will be compatible with your home's heating and cooling needs. Don't trust other Hudson Valley contractors who are not performing accurate Manual J load calculations to size and recommend equipment. Trust Classic Plumbing, Heating & Air Conditioning to do the job right and install the perfect system to meet your unique requirements. You would be surprised at how many Hudson Valley homeowners have work done by poorly trained or careless technicians that often creates problems during or after installation. For example, sloppy workmanship can create duct leakage where your new equipment is connected to your existing ductwork which means the efficiency ratings on that shiny new equipment will never see the light of day. It's also essential that your new air conditioner or heat pump system has the proper refrigerant gas charge (most commonly known as Freon ™). Many Hudson Valley contractors make no correction for the actual length and internal volume of the copper lines in your system. They just crack open the valves and use whatever refrigerant charge came in the new air conditioner from the factory. It takes time and training to correct the refrigerant gas charge for each installation. Many Newburgh heating contractors do not know how to do it properly, and/or don't invest the time needed to do it right. As your trusted Newburgh HVAC contractor, we will either precisely weigh in the proper charge, or adjust it based on careful temperature, relative humidity and refrigerant gas pressure measurements. Purchasing a new furnace, air conditioner or heat pump setup is a major decision - ranking just behind paying for your home, your cars and your children's college education. 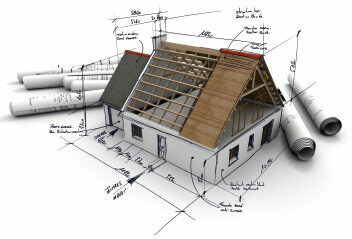 You want it done right, and we are a local Newburgh contractor who will do just that. From design to installation, we guarantee your system and your satisfaction with our company. We look forward to enhancing the quality of your indoor comfort control.